• plans to divest certain other non-core businesses. “These transactions represent additional milestones in executing our multi-year profit improvement plan,” said Andy Mooney, President and Chief Executive Officer of Quiksilver, Inc. “We used a portion of the Mervin proceeds to invest in our high-growth subsidiaries in Mexico and Brazil, and we now own 100 percent of our operations in both countries. The remaining proceeds from the Mervin sale, combined with the new European credit facility, enhance our financial flexibility and add greater stability to our liquidity. Last month, the company completed the sale of its snowboard subsidiary, Mervin Manufacturing, Inc. Mervin is a leading designer and manufacturer of snowboarding products, with brands that include Gnu and Lib Tech. On October 31, 2013, the company entered into a €60 million European credit facility with Eurofactor. The credit facility, which does not contain any financial covenants, has an initial term of three years. 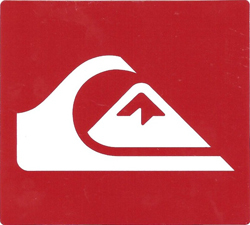 Quiksilver also announced today its intention to pursue the divestiture and exit of other non-core businesses, including Surfdome Shop, Ltd. (Surfdome), Hawk Designs, Inc. (Hawk), its Moskova brand, and its business under license with Maui and Sons. As a result, the company plans to classify Mervin, Surfdome and Hawk as assets held for sale and discontinued operations at October 31, 2013. The foregoing financial information regarding discontinued operations reflects preliminary estimates as of the date of this press release and represents the most current information reasonably available to management. Actual results for these discontinued operations may differ materially from the preliminary results due to the completion of our financial closing procedures, final adjustments and other developments that may arise between the date of this press release and the time that financial results for the three months and fiscal year ended October 31, 2013 are finalized. Pro-forma Adjusted EBITDA is defined as Adjusted EBITDA excluding restructuring and other special charges (including, but not limited to, reserves and other charges associated with restructuring activities, non-operating charges for gains and losses on lease exit activities, as well as severance and other employee termination costs as a result of downsizing and reorganization). Pro-forma Adjusted EBITDA is not defined under generally accepted accounting principles (“GAAP”), and may not be comparable to similarly titled measures reported by other companies. We use Pro-forma Adjusted EBITDA, along with other GAAP measures, as a measure of profitability because Pro-forma Adjusted EBITDA compares our performance on a consistent basis by removing from our operating results the impact of our capital structure, the effect of operating in different tax jurisdictions, the impact of our asset base, which can differ depending on the book value of assets, the accounting methods used to compute depreciation and amortization, the existence or timing of asset impairments, the effect of non-cash stock-based compensation expense and restructuring and other special charges. We believe EBITDA is useful to investors as it is a widely used measure of performance and the adjustments we make to EBITDA provide further clarity on our profitability. We remove the effect of non-cash stock-based compensation from our earnings which can vary based on share price, share price volatility and the expected life of the equity instruments we grant. In addition, this stock-based compensation expense does not result in cash payments by us. We remove from Pro-forma Adjusted EBITDA the impact of certain reserves and charges associated with restructuring activities, non-operating charges for gains and losses on lease exit activities, as well as severance and other employee termination costs as these costs are not typically part of normal, day-to-day operations. Pro-forma Adjusted EBITDA has limitations as a profitability measure in that it does not include the interest expense on our debts, our provisions for income taxes, the effect of our expenditures for capital assets and certain intangible assets, the effect of non-cash stock-based compensation expense, the effect of asset impairments and the effect of restructuring and other special charges. The company is not able to reconcile the non-GAAP information provided in this press release as the directly comparable GAAP measures are not able to be determined by the company at the current time. The company expects to provide reconciliations of the non-GAAP measures included in this press release in its earnings release for the three months and fiscal year ended October 31, 2013. Quiksilver, Inc., one of the world’s leading outdoor sports lifestyle companies, designs, produces and distributes branded apparel, footwear and accessories. The company’s apparel and footwear brands, inspired by a passion for outdoor action sports, represent a casual lifestyle for young-minded people who connect with its boardriding culture and heritage. The company’s Quiksilver, Roxy, and DC brands have authentic roots and heritage in surf, snow and skate. The company’s products are sold in more than 90 countries in a wide range of distribution, including surf shops, skate shops, snow shops, its proprietary Boardriders Club shops and other company-owned retail stores, other specialty stores, select department stores and through various e-commerce channels. Quiksilver’s corporate headquarters are in Huntington Beach, California. This press release contains forward-looking statements including, but not limited to, those relating to the anticipated benefits of the credit facility agreement with Eurofactor and plan to divest or exit non-core businesses. Quiksilver cautions that these statements are qualified by important factors that could cause actual results to differ materially from those presented or implied in the forward-looking statements. These statements are based on Quiksilver’s current plans and expectations and involve risks and uncertainties that could cause future activities and results of operations to be materially different from those set forth in or implied by the forward-looking statements. Quiksilver undertakes no obligation to update these statements, which speak only as of the date of this press release. For the factors that could cause actual results to differ materially from expectations, please refer to Quiksilver’s filings with the Securities and Exchange Commission and specifically the sections titled “Risk Factors,” “Management’s Discussion and Analysis of Financial Condition and Results of Operations” and “Cautionary Note Regarding Forward-Looking Statements” in Quiksilver’s Annual Report on Form 10-K and Quarterly Reports on Form 10-Q.